St. Marcellinus was the friend of St. Augustine (who dedicated his great work “The City of God” to him) and Secretary of State of the Roman Emperor Honorius. When Honorius granted freedom of public worship to the Donatists, a rigid heretical group, they began oppressing the Catholics who appealed to the Emperor. Marcellinus was commissioned to act as judge and bring about peace between the two groups. He ruled that the Donatists relinquish their churches and return to their Catholic brothers. The Donatists accused Marcellinus and his brother of involvement in the rebellion of Heraclion. General Maricus, who was sympathetic to the Donatists, was delegated to crush the rebellion. He arrested the brothers and put them into prison. St. Augustine intervened on their behalf but they were executed in 413. One can love God and still hate one’s neighbor. True or False? Born on January 23, 1374 at Valencia, Spain. He entered the Order of St. Dominic in 1374. He was commissioned to deliver lectures in philosophy. He continued his scholastic duties after being sent to Barcelona and devoted himself to preaching. After he received his doctorate at Lerida, he spent six years in Valencia perfecting himself in Christian life. In 1390 he accompanied Cardinal Pedro de Luna to France. In 1394 de Luna became Pope, he made St. Vincent master of the sacred palace. There he was unsuccessful to put an end to the great schism. The only position he wanted was apostolical missionary, having refused several other positions. He evangelized all over Spain, France, Italy, Germany, Flanders, England, Scotland and Ireland. By the gift of miracles, God, Himself, aided in his making countless conversions. He also preached the Gospel with much success to Mohammedan Granada when invited. He died April 5, 1419. O Lord, my God, in you I take refuge. Authentic freedom means being able to say or do anything one wants. True or False? Born in Cartagena, Spain. His parents, Severinus and Theodora, were known for their virtue. Sts. Leander and Fulgentius were his brothers and they were Bishops. His sister, Florentina is also numbered among the saints. As a youth, he consecrated himself to the service of the Church. By his virtue and learning he prepared himself for his sacred ministry. When his brother St. Lwander died he succeeded him to the See of Seville. There, he assisted in the conversion of the Visigoths. He served on several Councils where he assisted in disciplining the Spanish church and the church of Seville. He was highly esteemed for his merits and held many high positions. He wrote many works and the earliest encyclopedias on record. He governed his church for about 37 years. When he perceived his death fast approaching, he made proper preparation and went home and died in 636. Human beings have the power to act upon their own free choice. True or False? Born in 1197 near Worcester, England, St. Richard showed great inclination to virtue early in life and spent his time in pious deeds or in study. He showed no interest in the amusements of his day. He enjoyed helping others. He continued his studies in Paris, and he and two friends lived an austere life. He received the Master of Arts at Oxford. Then he went to Bologna, Italy to study canon law. When St. Edmund, Archbishop of Canterbury, went into exile in France he had Richard accompany him. There, Richard was ordained to the priesthood. He was elevated to the Episcopal See of Chichester where he overcame many obstacles. He applied all possible zeal to the government of the church. He maintained ecclesiastical discipline and was greatly admired for his charity to the poor. Because of King Henry III, he suffered much for two years. He was commissioned by the Pope to preach a crusade against the Saracens. While on this duty, he became ill with fever and died in 1253. True happiness consists in ___ (a) feeling good (b) being prosperous (c) God, the source of all good? 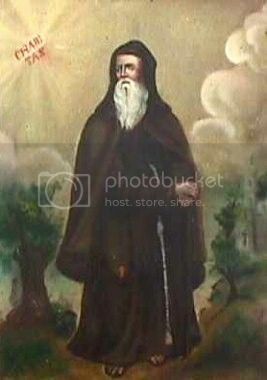 St. Francis of Paola was born in Paola about the year 1416 of very poor but virtuous parents. He learned to read at the Franciscan convent. A year later he made his residence in solitude about a half mile from Paola in 1432. Two others joined him to share in his devout exercises. Neighbors built them three cells and a chapel and Mass was said for them by a priest from the parish church. This is accepted as the beginning of the Order of Minims in 1436. In 1474 a bull of Sixtus IV confirmed the Order. The Superior General of the Order was St. Francis. He had several other monasteries built. By command of Sixtus IV he was sent to France at the request of Louis XI. Francis converted Louis XI before his death in 1483. His Order was now established in France. Francis spent the last three months in his cell to prepare for his death and eternity. He died in 1508 at 91 years of age. We are not responsible unless we are free. True or False? Born in 1052 at Chateauneuf, France. Though a layman, he became a canon of the cathedral in nearby Valence. Bishop Hugh of Die recruited him as an aide. He was so pleased with him that he took him into his own household. He was employed in various affairs of importance and was later elected to the See of Grenoble. He was ordained by the papal legate and the Pope in Rome consecrated him. He cleaned up the various problems in the See. He became a Benedictine but was ordered back to his See by Pope Gregory VII. Because of his outstanding ability, he was refused his request to resign his See. 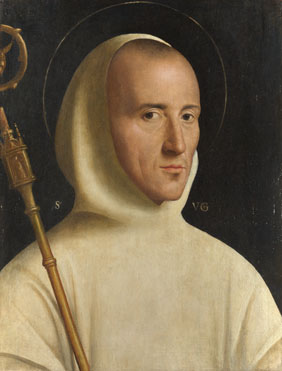 St. Bruno and his six companions went to St. Hugh telling him of their desire to found an order. Hugh gave them the land on which the Grande Chartreuse was built and they founded the Carthusian Order. After a lingering illness, St. Hugh died April 1, 1132. Freedom is not fulfilled unless directed toward what God intends. True or False? During the reign of Isdegerd, the Christians in Persia had enjoyed 12 years of peace. In 420 a Christian Bishop, Abdas, burned the Temple of Fire, the Sanctuary of the Persians. King Isdegerd threatened to destroy all the churches of Christians unless the Bishop rebuilt it. Because Abdas refused, all the churches were destroyed and Abdas was put to death. A general persecution began and lasted 40 years. Isdegerd’s son Varanes, his successor, continued the persecution with more fury. 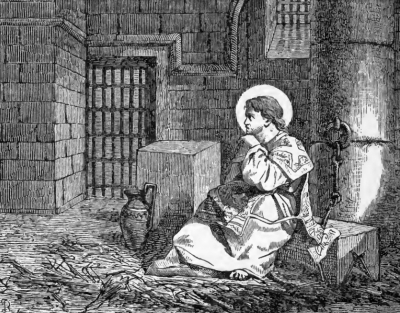 St. Benjamin had been imprisoned for a year because of his Faith. His release was granted on condition that he never speak of religion to the courtiers. St. Benjamin felt it was his duty to continue preaching about Christ and neglected no opportunity to preach. After untold suffering and tortures, St. Benjamin died a Martyr about the year 424. Some actions are always evil. True or False? At age 16 St. John Climacus dedicated his life to God and renounced all wordly goods. He lived as a solitary hermit for 40 years in Mount Sinai. He was chosen Abbot of Mount Sinai in 600 AD and superior-general of all the monks and hermits in that country. Pope St. Gregory the Great was so impressed with his holiness that he wrote him asking St. John to pray for him and sent him gifts for his hospital near Mt. Sinai. He sought to hide his natural and supernatural gifts in order to practice humility. He wrote the book The Ladder (Climax) of Paradise. It is a spiritual treatise that illustrates the monastic life at that time period. He fulfilled his duties but shortly before his death he resigned them. He submitted to a simple life of prayer and spiritual exercises. He died on March 30, 605 in the hermitage. For a couple’s marriage to be a sacrament, it must be open to the procreation and education of children. St. Gundleus kidnapped Gwladys, daughter of Brychan of Brecknow, who refused to allow their marriage. Together they led a riotous life of violence and banditry. St. Cadoc, their first son, convinced them to follow a religious life together at Newport, Mommouthshire. Later they lived as hermits, separately. Woolo is the Anglicized version of Gundleus. It is mercy I desire, and not sacrifice. A man and woman can live happily as God intended if they rely exclusively on their own unselfish love. True or False? 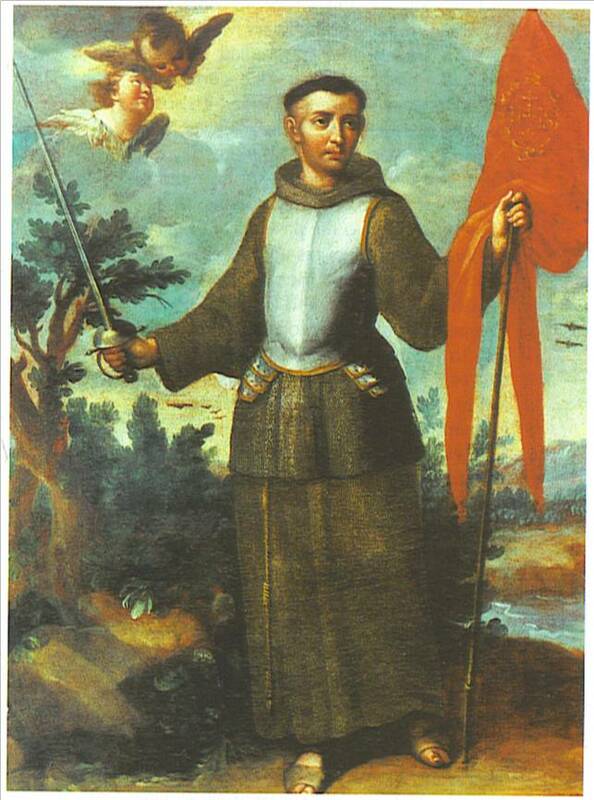 St. John of Capistrano was born in 1386 in Capistrano, Abruzzi, Italy. He studied law and was appointed governor of Perugia in 1412 and was married there. During imprisonment he changed his life. Despite his marriage, he obtained a dispensation to enter a religious order and publicly repented of his sins. He was ordained in 1420. He was a great preacher and drew many thousands to his sermons and converted many to a more religious life. He healed wounds among the Franciscans. He was active in the Observant Chapter and was appointed commissary general. He met St. Colette in France and helped her efforts to reform the Poor Clares. He had many missions, papal and otherwise. He preached throughout the land and brought many back to the faith. He died on October 23 of the plague. He was canonized in 1690. I am the Lord your God: hear my voice. What is a sign of God’s unconditional love for all humanity?